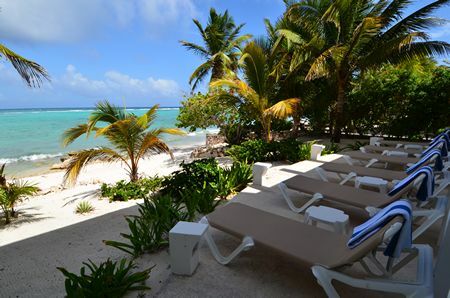 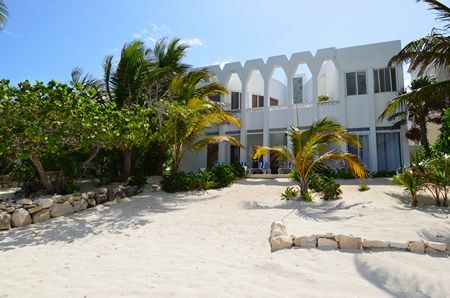 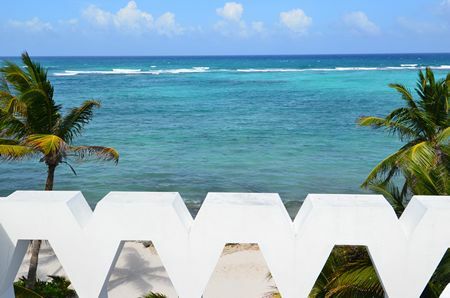 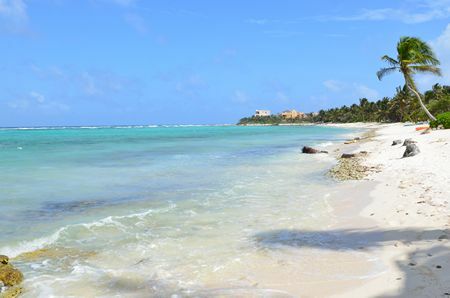 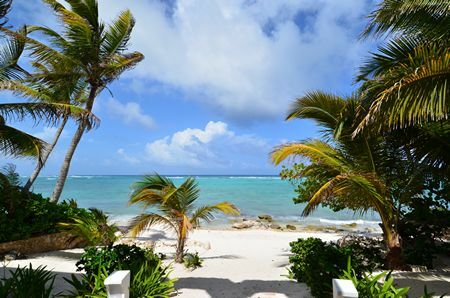 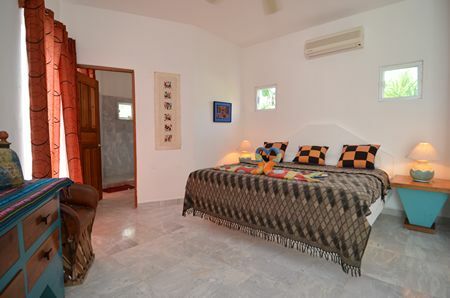 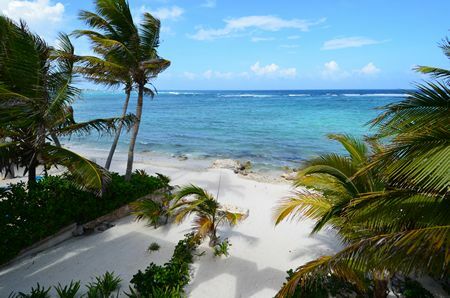 Dos Jaguares is spacious, open and airy; a vacation villa of brilliant white, with beautiful vistas of the Caribbean and striking architecture, situated on the tranquil beach of South Akumal. 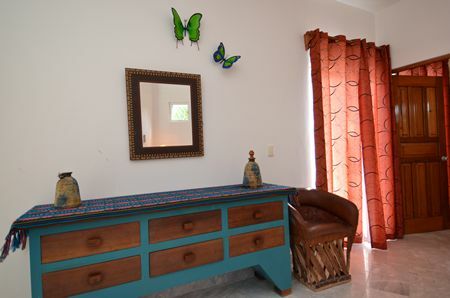 Treat yourself to the cultural and artistic elegance of this stylish 5,000 square foot contemporary villa, with a flair of fantasy. 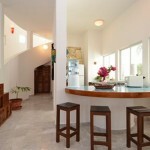 The exquisite white and silver marble floors were brought in from Durango, Mexico. 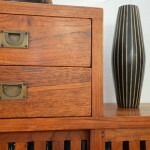 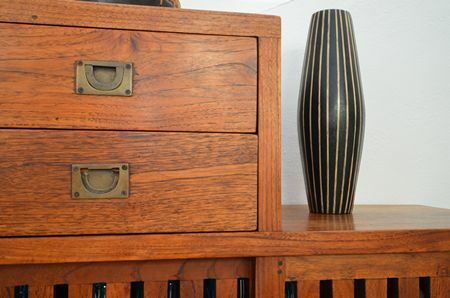 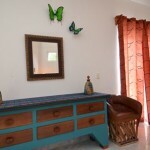 The elegant cabinetry is custom built from imported Honduran mahogany. 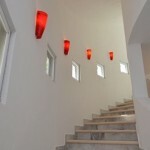 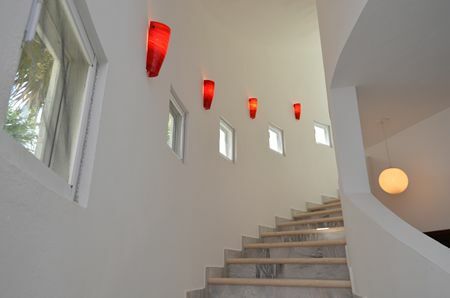 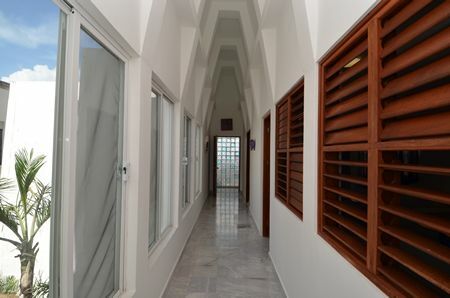 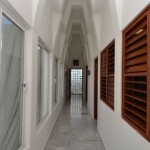 The upstairs hallway is a re-creation of Mayan arches inspired by the Palace at Palenque. 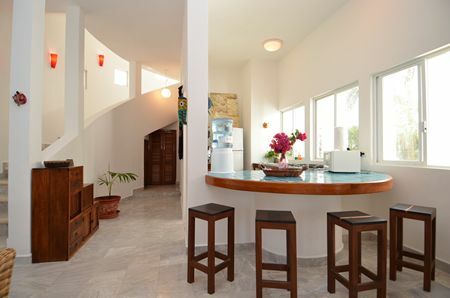 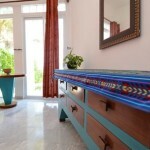 Essentially, the house is a mixture of contemporary artistic fantasy and Mayan architectural influences. 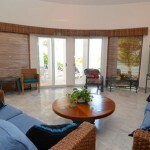 The living room has a TV, two DVD players, a VCR, and stereo with CD’s for your entertainment. 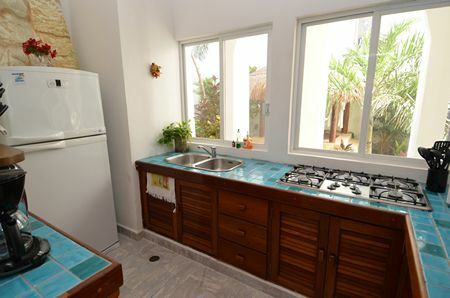 There is also a dining area with comfortable seating for six and a well-equipped kitchen that includes a 5 burner gas stove and breakfast bar. 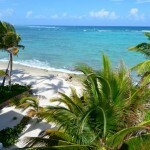 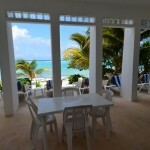 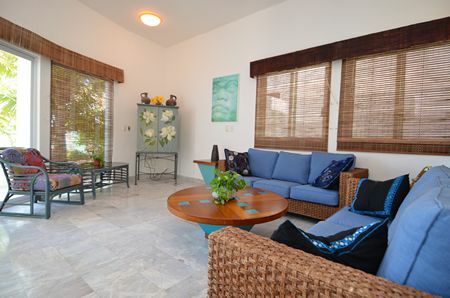 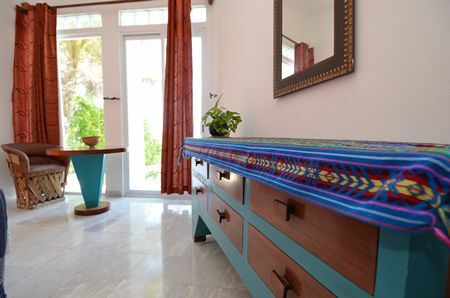 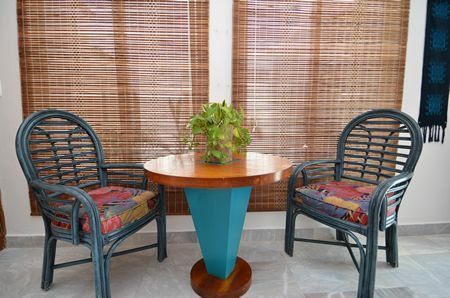 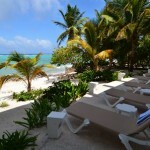 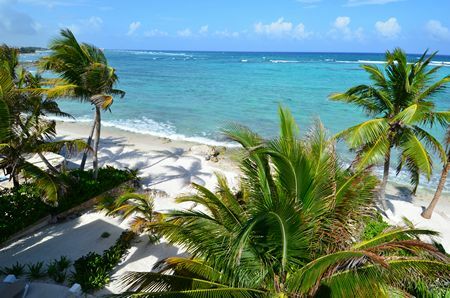 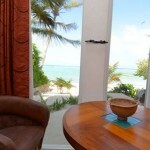 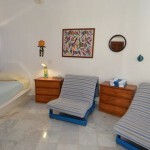 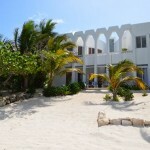 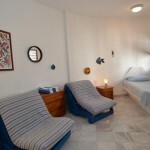 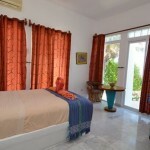 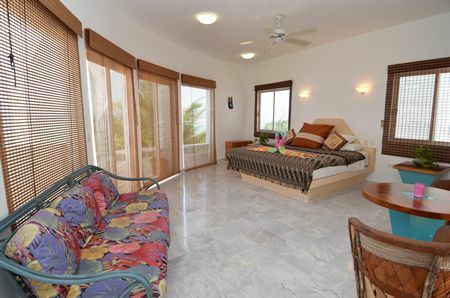 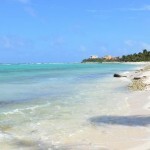 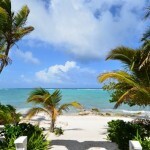 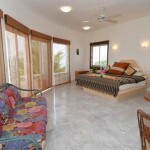 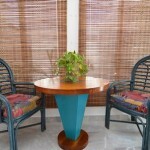 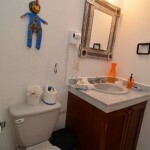 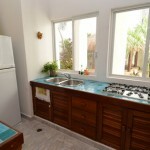 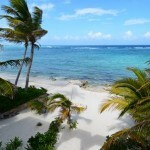 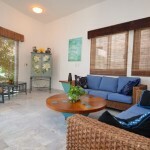 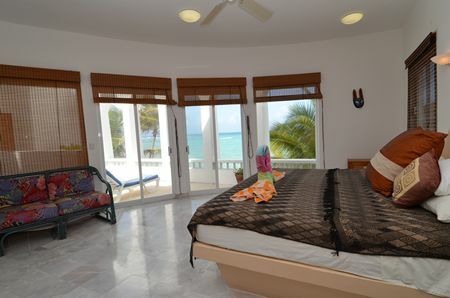 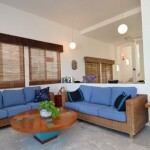 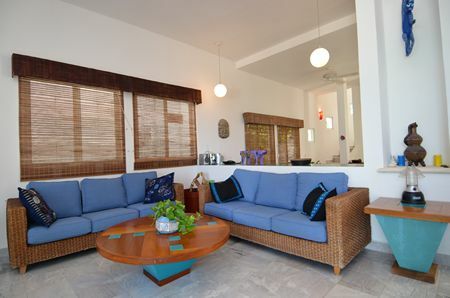 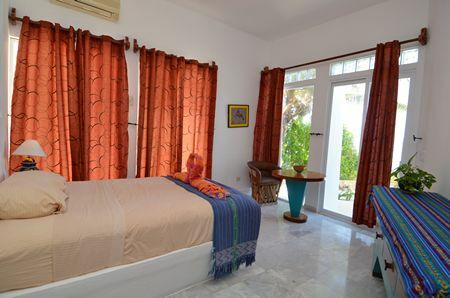 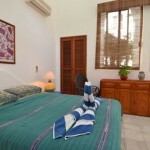 Dos Jaguares has five air conditioned bedrooms and five bathrooms. 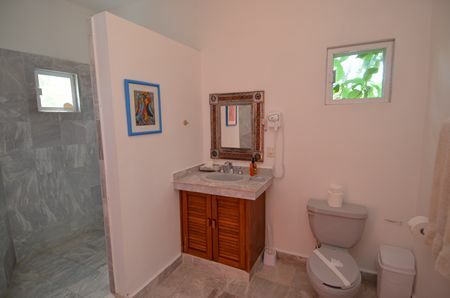 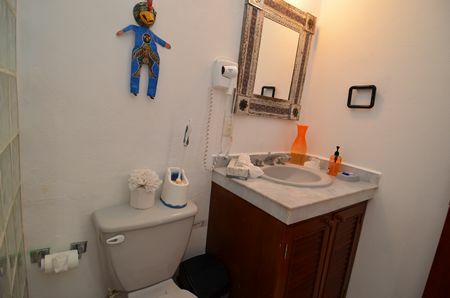 The upstairs master bedroom is huge; as is the bathroom, with a tub you can soak in while enjoying a view of the Caribbean. 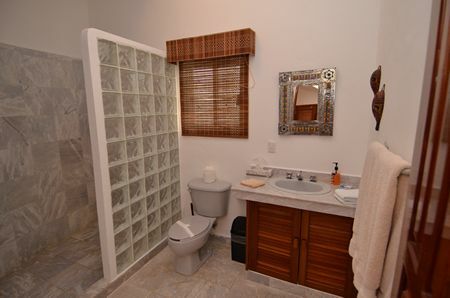 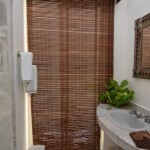 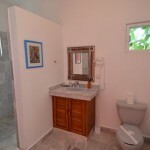 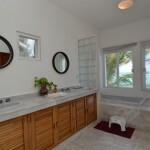 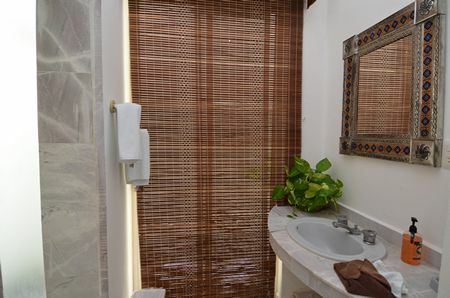 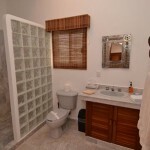 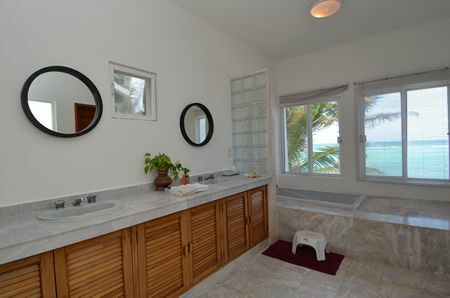 Or, from the master bedroom, you can step outside and enjoy a private, open air shower in a tropical garden setting. 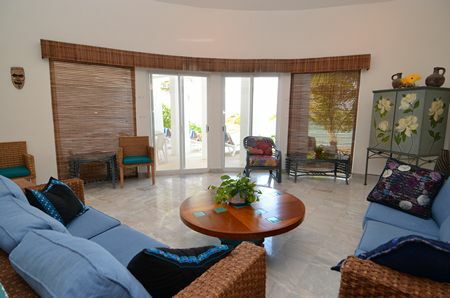 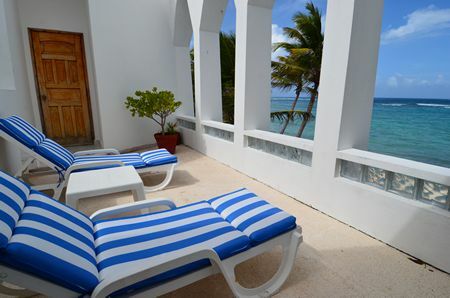 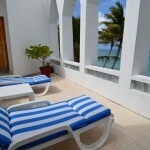 This part of the villa also has a large balcony overlooking the Caribbean. 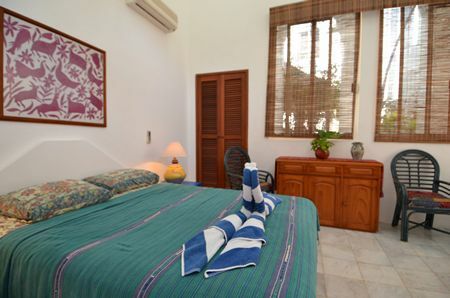 The upstairs guest room has a garden view, private bath and a small outdoor deck. 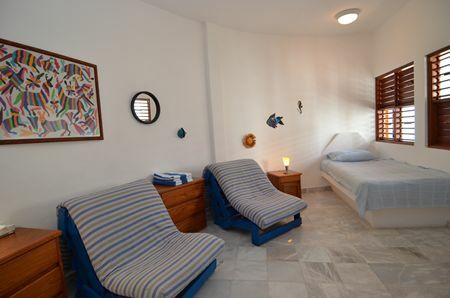 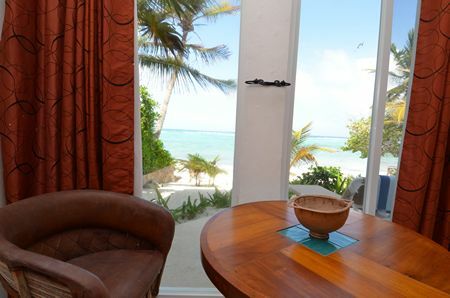 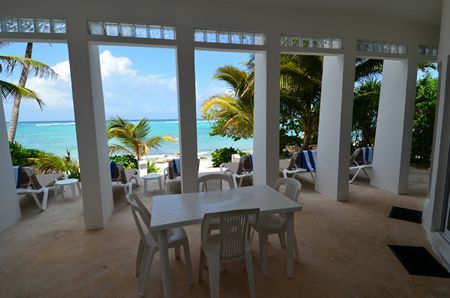 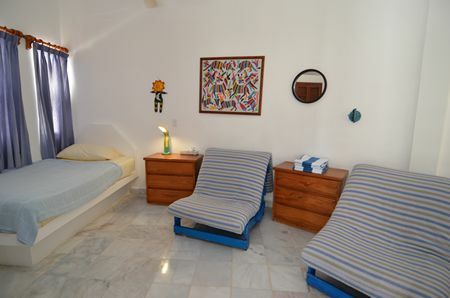 A third guest bedroom, upstairs, has two twin beds and two futons, and the fourth guest room, on the first floor, has a door opening directly on to the beach. 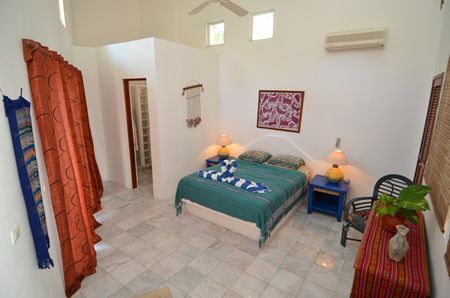 There is also a studio suite with its own private entrance off of the central garden, with a queen size bed to round out the sleeping arrangements. 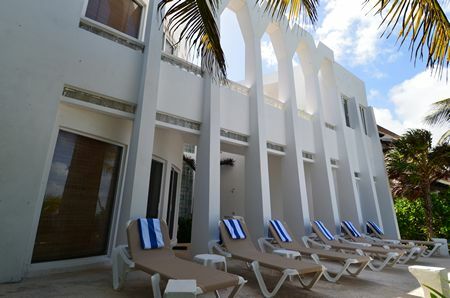 The villa takes on a special ambiance at night with the use of custom lighting, as does the central courtyard with its stylized steps and tropical landscaping. 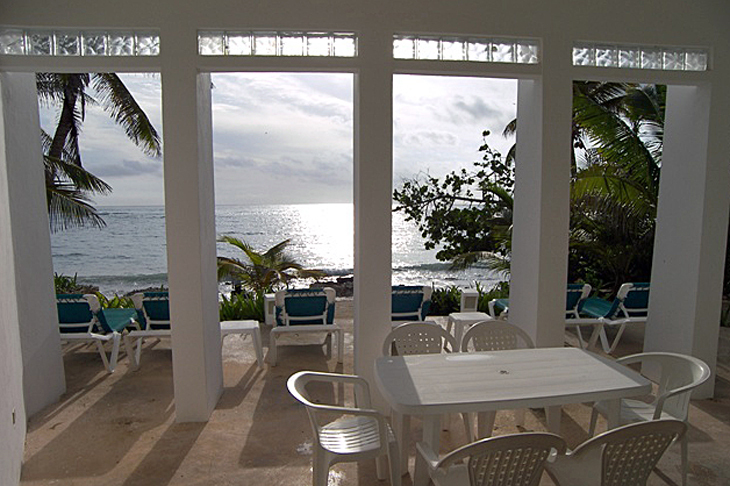 To complete your day, spend a romantic evening star gazing toward the heavens from the roof top observation deck. 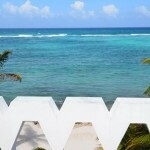 Take the time; this will definitely enhance your overall vacation experience! 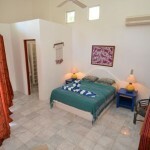 Rates are in USD, per week, for up to 10 Guests. 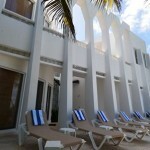 Add $250 per person ($150 for children 9 and under) over base occupancy of 10 guests *.